Now, some of you…OK, most of you will say that KAZI gets the upper hand, right? Still, I would say it depends on how you see things. COBI is a reputed mainstream clone brand, all their products are licensed, quality is on par with LEGO, they have a lot of unique parts and accessories (that includes their own minifigure design) and a big worldwide fan base. On the other hand, KAZI is a Chinese fake brand turned to clone brand, their quality has increased lately but was really poor until not long ago and I don’t think they even know what licensing means. 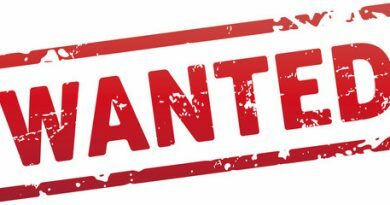 Besides that, you may only be able to buy their products online, from Aliexpress, Taobao and such if you’re living in Europe or North America. So, like I said, you get to decide who is the better brand and model. I for one, would get both, because both are cool sets to have in my opinion. 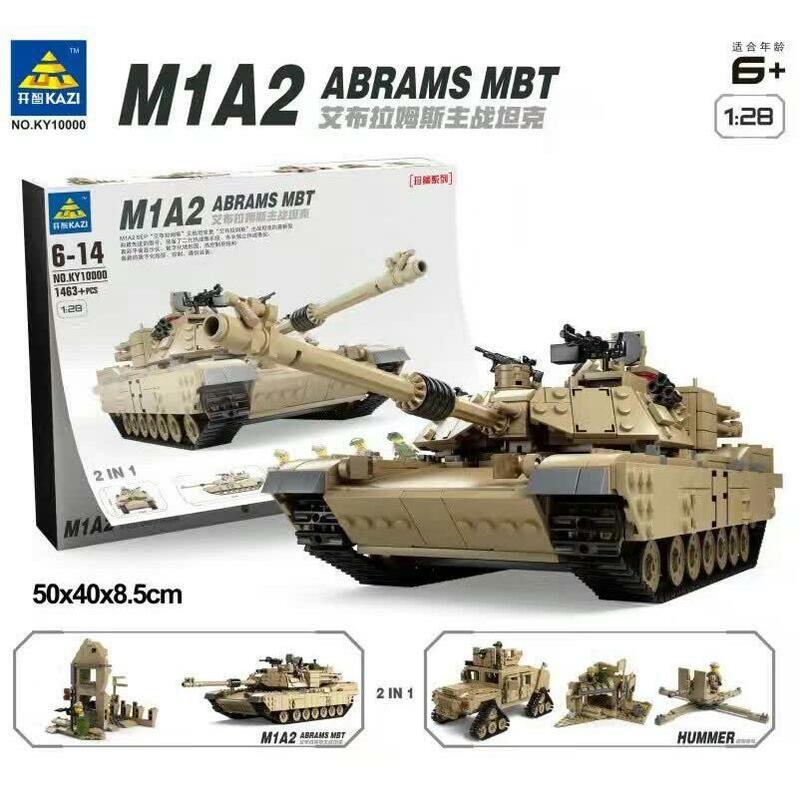 OK, so KAZI’s version of the M1A2 Abrams Main Battle Tank is in fact a whopping 1463 pieces, 2 in 1 set (you can also build a Humvee on tracks). 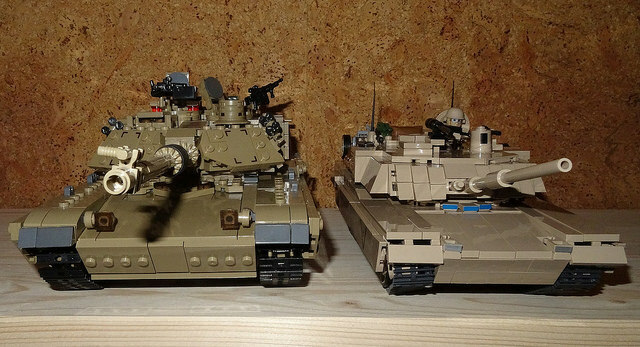 As opposed to the COBI set, the KAZI set comes with secondary builds for both models: a bombed building hide-out for the tank and a shelter and cannon for the Humvee. 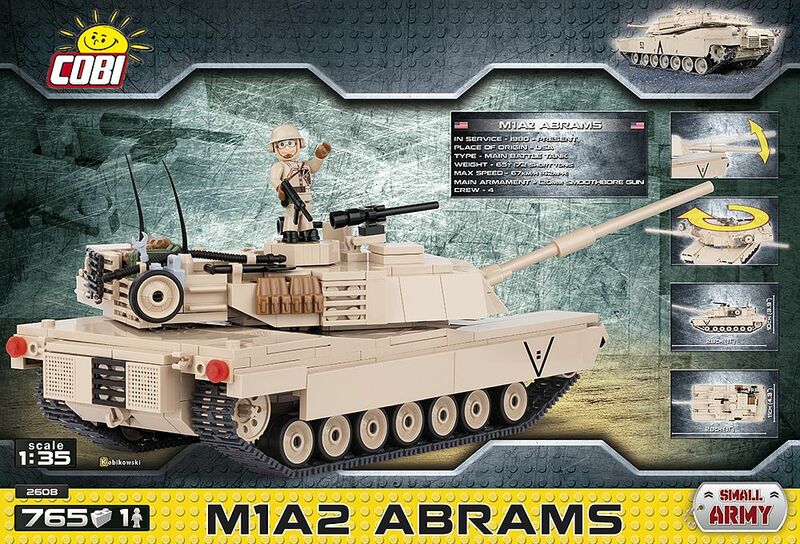 What you get from the COBI Abrams more than you get from the KAZI one is a lot of unique parts and minifigure accessories, like 2×8 tiles, 2×2 sloped tiles, specialized track wheels and cannon barrel, vests and fuel canisters among many others. The KAZI Abrams too features a handful of weapons and sandbags as non-LEGO parts. 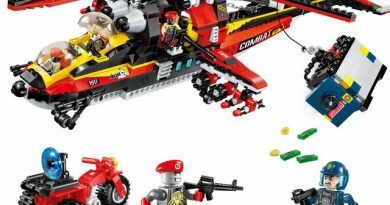 The detail on the KAZI version is superior: the barrel and turret are more accurately designed and equipped and the weapons are all modern (unlike the WWII machine gun the COBI minifigure holds). Plus, the back opens up and the inside holds the driver and engine as well. …while the KAZI dudes (two of which seem to be terrorists or some sort) are totally out of the picture. All of them have out-dated clothing and none of the soldiers have same color pants. The captain, I guess, wears a (why?) khaki bonnet on his head and the driver has a (why?) khaki aviator’s helmet. Are they Russians stealing an Abrams? The one soldier who is accurate enough for a tank job wears a (why?) khaki vest and helmet. 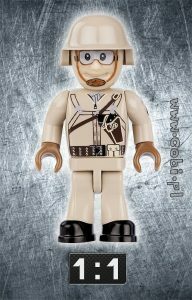 It’s a shame KAZI failed to deliver some really nice minifigures, because they could have easily. Finally, here’s a photo comparison of the two models, side by side, KAZI to the left. The COBI color is more accurate and the size difference is obvious.